1) Radon is only present in some homes & areas. TRUE or FALSE? 2) My home is on a slab; I don't need a Radon test. TRUE or FALSE? 3) Once I've tested & mitigated, I don't need to test again. TRUE or FALSE? I'll save you some time...they are ALL false! It's true. (Not one of those statements is though!) And January is National Radon Action Month! Every year we do our best to make sure this very important test is available for LESS! From now until the end of January the Radon Test is only $125.00. (that's a $34 dollar savings off the regular price). Let's take a look at the statements and what makes them false. 1) Radon is present in all homes and areas. It is a naturally occurring gas that comes from the rocks and the dirt we build our homes in. EVERY HOME HAS RADON. What they are testing for is an acceptable level. Levels of 4.0 PCi/L and higher require mitigation. Radon is the 2nd leading cause of lung cancer. (Only cigarette smoke causes more cases of lung cancer than Radon) Oh, since NOBODY knows what it means: Pci/L = picoCuries per Liter of Air - It's the standard of measurement the EPA protocol defines for measuring Radon levels. 2) Radon gas is heavier than air. It slips into your home through cracks, crevices, windows, doors, fans and HVAC units. Because it is heavier than air, it pools in the lowest level of the home...which if your home is on a slab...is the MAIN LIVING LEVEL. So, yes you DO need to consider testing the Radon level if you have a slab! 3) Homes that test high for Radon levels and have a mitigation system DO need to be retested. The companies we work with recommend testing every 2 years. Why? Because the unit can fail. For instance, the fan in the unit is typically (a) silent or (b) up in the attic. That means you can't hear it and you won't be aware that it isn't functioning. The truth is, you could have the unique situation of one homeowner - her radon system was wired to a switch that operated the lights in the attic...so the fan was only on when the switch was on...so basically never! And remember, not all mitigation companies are the same. Reputable companies provide a warranty that can be transferred to the new buyers. They guarantee their work and they can also re-test their equipment for you. Additionally, the special we are running isn't just for January. 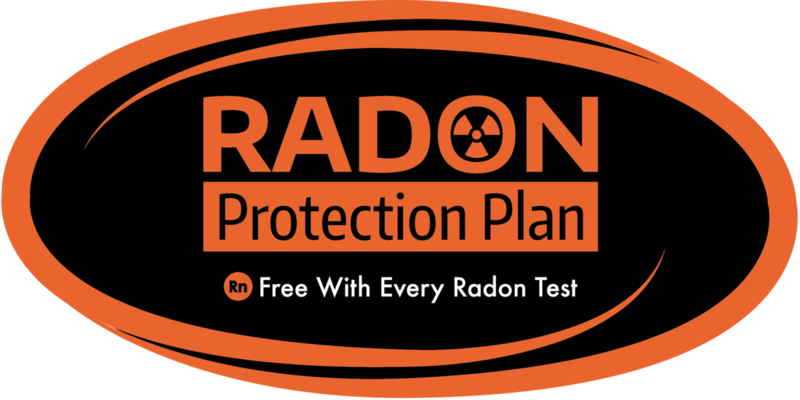 We want to make sure homeowners get their Radon levels tested...The test you purchase is good for 2 years from inspection date! TWO YEARS!! That means you can buy today and redeem when your 2 years to retest is up. It's a pre-paid re-test! So buy with confidence today and redeem when you need to! Finally, a radon test performed by our company that comes in below 4.0PCi/L is protected by our Radon Protection Plan. That means that if it is retested after ours and results are elevated the cost of mitigation up to $1200 is covered after a $250 deductible is met. Got more questions? Visit the EPA Website and type "Missouri Radon" in the search box to find out more! Or, if you are ready to schedule give us a call at 636-931-7888 or click on our pretty faces below to visit our website & schedule on-line!